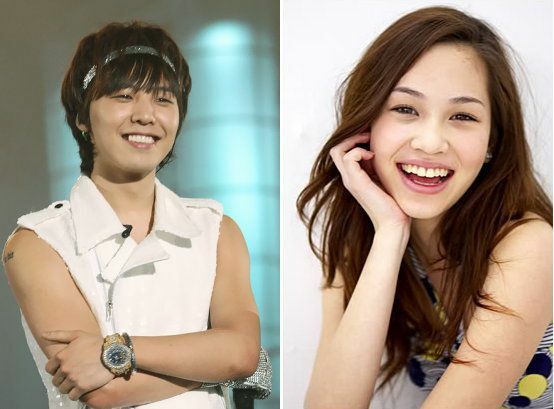 Although rumors that Big Bang‘s G-Dragon was dating Japanese actress Kiko Mizuhara died down last year, recently discovered photos have emerged as evidence for an intimate relationship between the two. YG Entertainment has responded to these rumors by promising to confirm the validity of these rumors and I wouldn’t be surprised if they positively confirmed. Though the photos look old, it does look like there was some kind of loving going on at some point in time. An affirmative would definitely be exciting news. Not only are our favorite Korean stars continuing to date openly, but this could be the beginning of international fangirl/boy frenzy everywhere. I mean, if location or nationality is no longer a boundary, then who’s to say that those of us beyond Korea couldn’t be next? That suggestion was so wrong on so many levels. I apologize for propagating delusional fan hopes but hey, it’s a charming thought right?